This package includes Hardcover and Sapling Learning. Focused on the actual practice of statistics, where data analysis and design of data production join with probability-based inference to form a coherent science of data, Basic Practice of Statistics preapres you to carry out common statistical procedures. Ensuring you'll be able to follow statistical reasoning in your field of study as well as future employment, this text stresses experince with data and the importance of ideas. 28.4 What hypotheses does Wilcoxon test? 31.8 Don't confuse control with capability! David S. Moore is Shanti S. Gupta Distinguished Professor of Statistics, Emeritus, at Purdue University and was 1998 president of the American Statistical Association. He received his AB from Princeton and his PhD from Cornell, both in mathematics. He has written many research papers in statistical theory and served on the editorial boards of several major journals. Professor Moore is an elected fellow of the American Statistical Association and of the Institute of Mathematical Statistics and an elected member of the International Statistical Institute. He has served as program director for statistics and probability at the National Science Foundation. In recent years, Professor Moore has devoted his attention to the teaching of statistics. He was the content developer for the Annenberg/Corporation for Public Broadcasting college-level telecourse Against All Odds: Inside Statistics and for the series of video modules Statistics: Decisions through Data, intended to aid the teaching of statistics in schools. 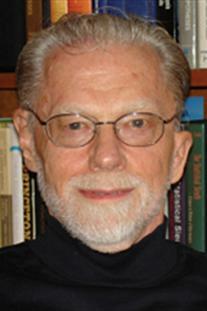 He is the author of influential articles on statistics education and of several leading texts. Professor Moore has served as president of the International Association for Statistical Education and has received the Mathematical Association of America’s national award for distinguished college or university teaching of mathematics. William I. Notz is Professor of Statistics at the Ohio State University. He received his B.S. in physics from the Johns Hopkins University and his Ph.D. in mathematics from Cornell University. His first academic job was as an assistant professor in the Department of Statistics at Purdue University. While there, he taught the introductory concepts course with Professor Moore and as a result of this experience he developed an interest in statistical education. Professor Notz is a co-author of EESEE (the Electronic Encyclopedia of Statistical Examples and Exercises) and co-author of Statistics: Concepts and Controversies. Professor Notz’s research interests have focused on experimental design and computer experiments. He is the author of several research papers and of a book on the design and analysis of computer experiments. He is an elected fellow of the American Statistical Association. 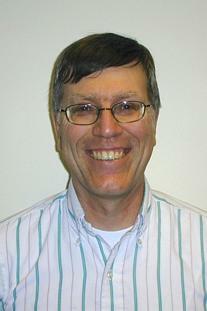 He has served as the editor of the journal Technometrics and as editor of the Journal of Statistics Education. He has served as the Director of the Statistical Consulting Service, as acting chair of the Department of Statistics for a year, and as an Associate Dean in the College of Mathematical and Physical Sciences at the Ohio State University. He is a winner of the Ohio State University’s Alumni Distinguished Teaching Award. Michael A. Fligner is an Adjunct Professor at the University of California at Santa Cruz and a non-resident Professor Emeritus with the Ohio State University. He received his B.S. in mathematics from the State University of New York at Stony Brook and his Ph.D. from the University of Connecticut. He spent almost 40 years at the Ohio State University where he was Vice Chair of the Department for over 10 years and also served as Director of the Statistical Consulting Service. 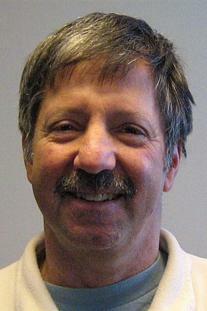 He has done consulting work with several large corporations in Central Ohio. Professor Fligner's research interests are in Nonparametric Statistical methods and he received the Statistics in Chemistry award from the American Statistical Association for work on detecting biologically active compounds. He is co-author of the book Statistical Methods for Behavioral Ecology and received a Fulbright scholarship under the American Republics Research program to work at the Charles Darwin Research Station in the Galapagos Islands. He has been an Associate Editor of the Journal of Statistical Education. Professor Fligner is currently associated with the Center for Statistical Analysis in the Social Sciences at the University of California at Santa Cruz. 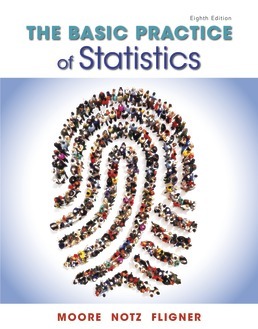 A defining text in statistics education, The Basic Practice of Statistics puts data analysis at the forefront and begins to develop students’ reasoning and judgment about statistical studies.